If you love The Spook’s Apprentice series come along and meet Joseph Delaney in Christchurch this Wednesday (20 February). You can come and meet him at Upper Riccarton Library, from 7:00-8:00pm on Wednesday 20 February. He’ll talk about his books, you can ask him questions, and even get your book signed. It’s a free event but you need to book a space. Just call the library on 03-941-7923 to book. If you’re a fan of The Spook’s Apprentice series by Joseph Delaney, you’ll be excited to hear the latest book in the series, The Spook’s Blood is released this month. To make sure you’re one of the first to get your hands on The Spook’s Blood, reserve your copy at the library now. Diana Wynne Jones is the queen of fantasy. She was writing the fabulous Chrestomanci series, about orphans, witches and magic long before J. K. Rowling and Harry Potter came along. She has written lots of books, including the Chrestomanci series and Howl’s Moving Castle. Earwig and the Witch is the magical book that she wrote before she died earlier this year. Earwig is a an orphan girl who lives at St Morwald’s Home for Children with her friend Custard. Earwig is quite happy living here and she says that “anyone who chose me would have to be very unusual.” She is a pretty unusual child but she seems to be able to make anyone do anything that she wants, like cooking her favourite food or playing hide and seek in the dark. One day a very strange couple come to the orphanage looking to adopt a child. The woman has two different coloured eyes and a raggety look to her face, and the man is very tall and looks like he has horns on his head. They adopt Earwig, but she discovers that the woman is a witch and only wants her as a slave to help her with her spells. Earwig is trapped in the house and wants nothing more than to go back to the orphanage with her friends. Will she be able to outwit the witch and escape? And who or what is the mysterious man with the horns? Earwig and the Witch is a funny story about a feisty girl trying to fit into her new family. 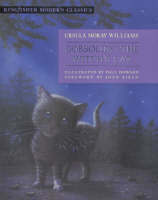 All the characters are quite strange and I especially liked Thomas the cat. The cover is very cool and really draws you in, with the spiderwebs and spiders crawling all over it. Marion Lindsay’s illustrations are spectacularly spooky and I love the little pictures of crows or spiders on each page. The only thing I didn’t like about this book was that it ended so suddenly. I would have liked to know more about her life in the house. Earwig and the Witch is perfect for those girls who don’t like fairies, but who still like a bit of magic. Gobbolino is a fun loving witch’s cat. As soon as they found out that he was born with bright shiny blue eyes and one white paw they chucked him into sleep with the mice and toads. Gobbolino wants to be a kitchen cat so wandered upon the trail and set off on the way. He gets into quite some trouble but soon he finds himself a home and he gets to be a kitchen cat. Try a scary story. There are stories about ghosts, vampires, werewolves, witches and other monsters that lurk in the dark. Some of my favourite scary stories are the Skulduggery Pleasant series, the Spook’s Apprentice series, the Invisible Fiends series and the brand new, Department 19. Check out our If you like Ghost Stories and our Book Buzz page for lots of scary stories you could read. Tell us about your favourite scary story and you’ll go into the draw to win a copy of the scarily good new book, Department 19 by Will Hill. This Sunday it’s Halloween, a time when people enjoy the thrill of being scared by witches, ghosts, goblins, and things that go bump in the night. In America, kids go trick-or-treating, where they go around their neighbourhood and collected candy. 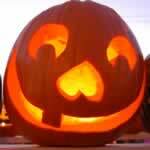 We don’t really celebrate Halloween in New Zealand, although some of you might still go trick-or-treating. 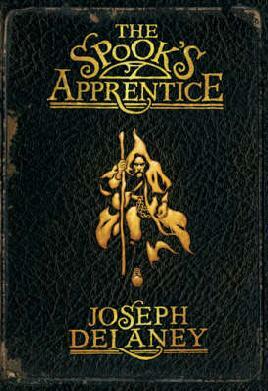 The Spooks Apprentice series by Joseph Delaney. Half-minute Horrors – a collection of really short stories by lots of different authors. Old Bones by Bill Nagelkerke. When the Kehua Calls by Kingi McKinnon. To find out more about Halloween, check out our Halloween page, and to find more scary stories to read, try our If you like Ghost Stories booklist. What’s your favourite scary story? The Floods aren’t like other families. For a start, they are all witches and wizards. Mordonna and Nerlin are the mum and dad, and they have 7 children – 4 boys, 2 girls and another one they aren’t sure about – if it’s a boy or a girl. I like these books because they are scary but not too scary, and they are funny. These books would be good for people who like scary, funny tales with magic!